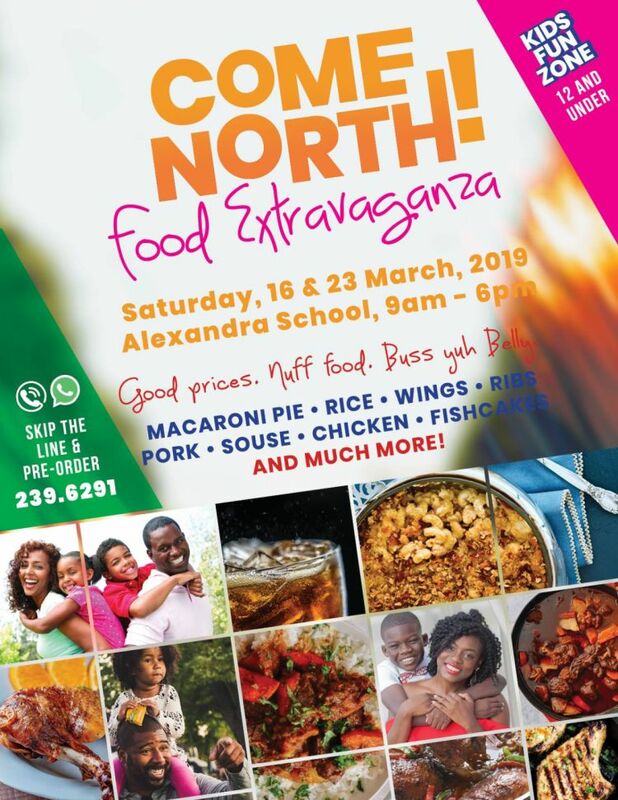 You are invited to the Come North Food Extravaganza. 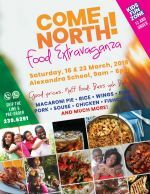 This is a Food and Beverage fun event, held on the Alexandra School Grounds. Good food, good company, great entertainment. There will also be a Kids' Fun Zone for children 12 y.o. and under. Skip the line and pre-order. Call/WhatsApp 239-6291.